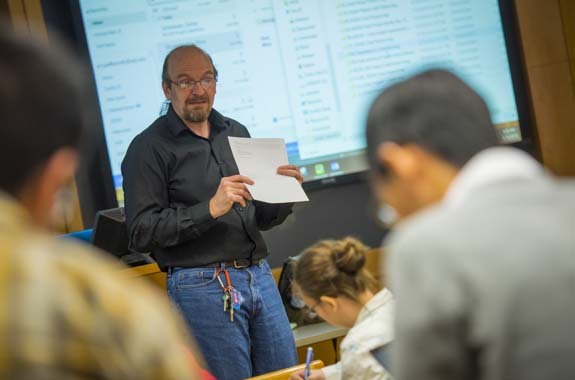 WPI’s Graduate Certificate in Data Science prepares you to harness, analyze, and interpret data in real-world applications as data scientists. To complete this six-course certificate program, you’ll take one class from each of the five core categories of Data Science coursework; Integrative Data Science, Mathematical Analytics, Data Access and Management, Data Analytics and Mining, Business Intelligence and Case Studies. You will also take a sixth course in an elective area, allowing you to specialize your certificate to reflect your interests and career intentions. Application requirements are the same for the Certificate Program as for the Masters of Science degree. The Graduate Certificate in Data Science is granted after completion of the six course program of study. Courses taken in the Certificate Program may subsequently also be applied to count towards the M.S. degree in Data Science at WPI. Your sixth course, or elective, may be chosen from any of the Data Science courses so you can tailor your certificate to your specific interests. A complete listing of all courses pre-approved as electives for the Data Science program may be found in the WPI Graduate Catalog under Data Science.